I was shown Pundit the other day. 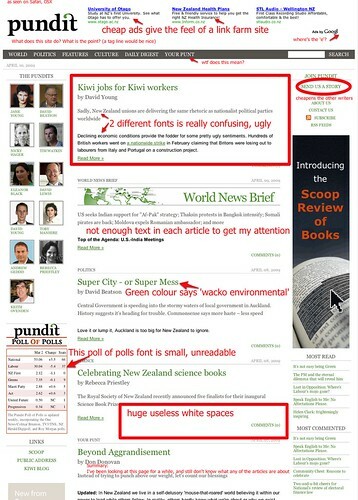 It’s a site that is agglomerating a few writers to create a super blog.Good idea, but the home page needs some work. The site design does little to draw me in, and indeed I was not tempted to click on any of the articles during the time I was looking at the site. So I trust that the owners are constantly improving the site usability.